I may live across the bridge in Indiana now, but I will always be a Kentucky girl. There’s just something about the Bluegrass state. I get goosebumps every single time I hear that song play. Goosebumps and tears. 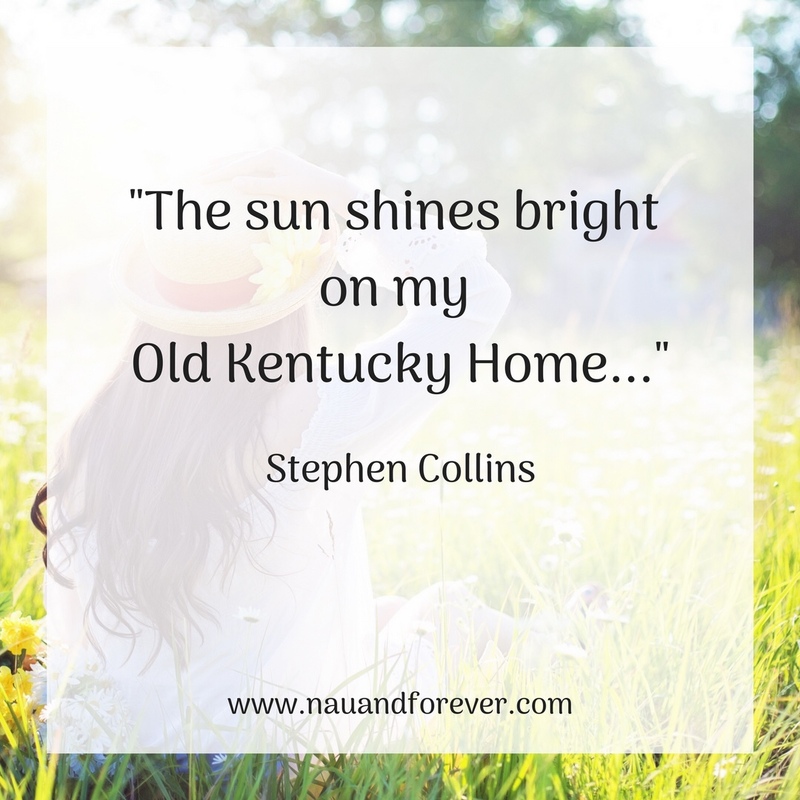 It’s such a beautiful song (by Stephen Collins) and you can be sure that the sun always “shines bright on my Old Kentucky Home”. The Kentucky Derby, also known as the “most exciting 2 minutes in sports” takes place on the first Saturday in May at Churchill Downs in Louisville. Ponies, hats, bourbons, and bets. Tomorrow is actually the 144th year of The Derby. Speaking of horses, Keeneland is another must visit if you love racing. Located in Lexington, Keeneland is absolutely stunning and the perfect place to spend a beautiful Spring (or Fall) afternoon. Yep. I am a Kentucky Wildcat fan. My love for the blue and white goes all the way back to my Travis Ford crush. I still remember how excited I was to meet him at the Elizabethtown Towne Mall when I was probably 9 years old. I would dress up in my elementary school cheer uniform (which happened to also be blue and white) and cheer and yell at the TV during basketball season. My alma mater! WKU is located on “the hill” in Bowling Green, KY. This is the place where I met my lifelong best friends and my husband. Now, I am not a big bourbon fan, (insert gasp!) BUT I can fully appreciate a delicious mint julep. It is the official drink of The Kentucky Derby, ya know! Y’all! Kentucky folks are nice people. Once I cross the bridge to visit my hometown, I wave at everyone and everyone waves at me. They say that at “Cheers”, everybody knows your name. Well, the same goes in most small Kentucky towns. Everyone knows everyone which is both a blessing and a curse depending on who you ask. One of my sorority sisters actually introduced me to Ale 8 in college. How did I totally miss the boat on that? Ale 8 is made in Winchester, KY and it’s served in the classic green glass bottle. Feelin’ frisky? Mix it with bourbon and enjoy! Now, I love healthy foods BUT there is something so comforting about, well, comfort food. Biscuits and fried chicken are great, but the Kentucky Hot Brown is amazing! Originally created at The Brown Hotel in Louisville, KY, this dish is, legendary. Yes, I already mentioned The University of Kentucky, but the state of Kentucky has some incredible athletes at all the Universities. Basketball is strong in this state: The Wildcats, Cardinals, Hilltoppers and Murray State just to name a few. And we can talk about athletic ability in Kentucky without mentioning The University of Kentucky Cheerleaders who are one of the most successful cheerleading programs in the WORLD, winning (to date) 23 UCA National Championships! 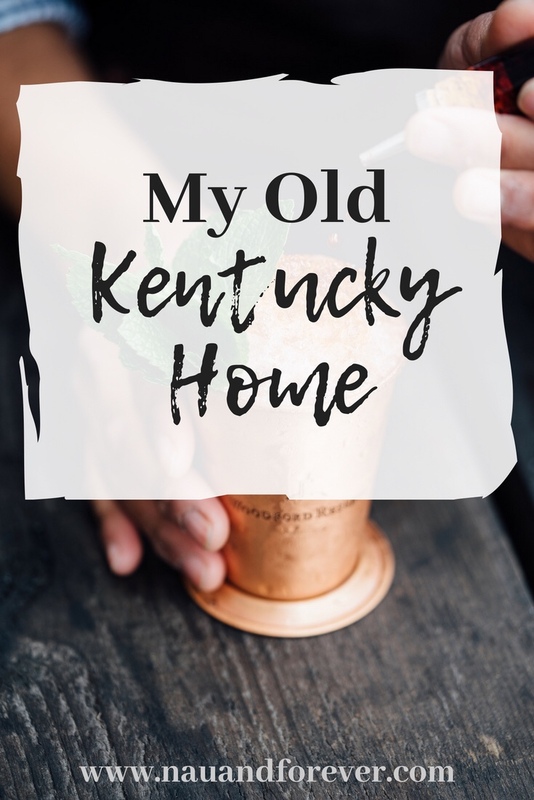 So, there is my Top 10 Favorite Things about My Old Kentucky Home! 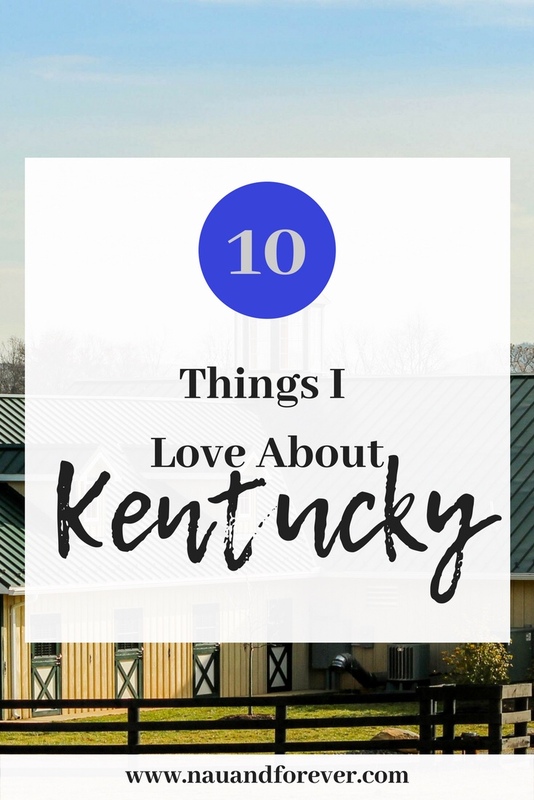 If you’re from KY, I’d love to know what you love!